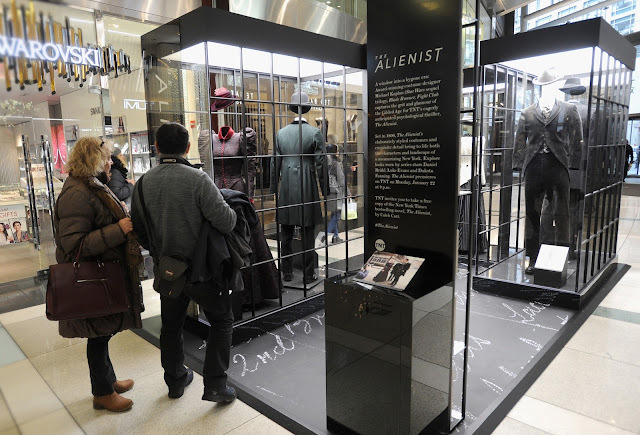 TNT's upcoming series The Alienist currently has a costume and art installation in New York. Award-winning costume designer Michael Kaplan (Star Wars sequel trilogy, Blade Runner, Fight Club, Flashdance) created the looks worn by series stars Daniel Brühl, Luke Evans and Dakota Fanning in a one-of-a-kind, curated art piece that will be on display in New York’s Time Warner Center through January 5, 2018. 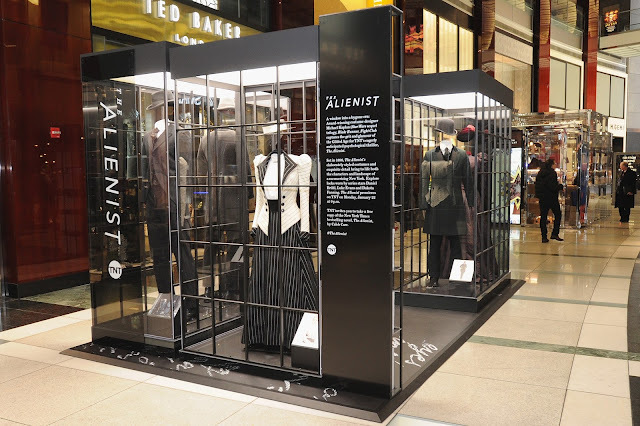 Taking inspiration from the architectural settings of The Alienist, the exhibit conjures a sense of layering, veiling and dark transparency. 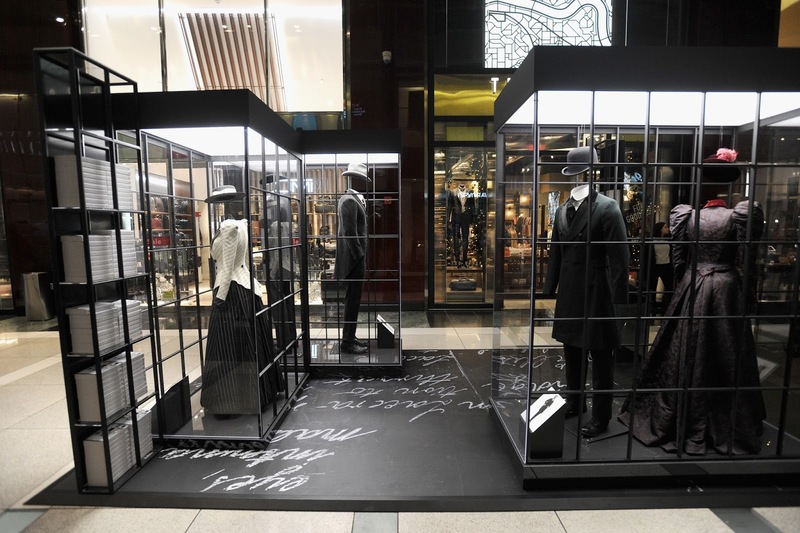 The display presents a capsule environment for the opulent Gilded Age costumes from the series. The installation, designed by Abbott Miller / Pentagram, will open with 6,000 copies of The Alienist, which are free to the public. 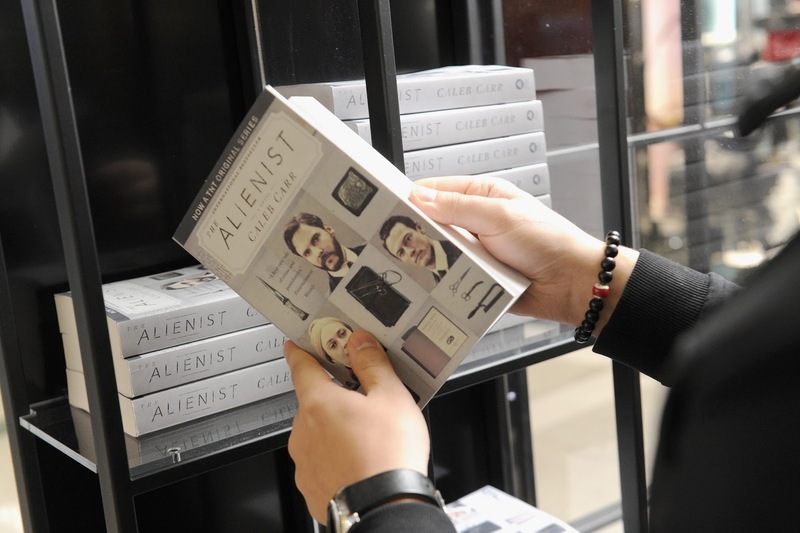 It is based on the novel by Caleb Carr and was adapted by Eric Roth, Hossein Amini, and Cary Fukunaga (True Detective). 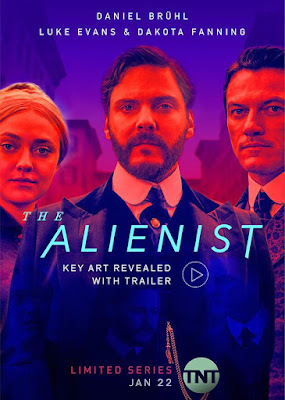 It stars Daniel Brühl, Luke Evans, Dakota Fanning, Robert Wisdom, Douglas Smith, Matthew Shear, Matt Lintz, Brian Geraghty, and Q’orianka Kilcher. It will premiere on TNT on Monday, January 22, 2018 at 9PM EST. Check out images from the installation, the series synopsis, behind the scenes video, and trailer below. "The psychological thriller drama is set in 1896, when a series of gruesome murders of boy prostitutes has gripped the city. Newly appointed top cop Teddy Roosevelt calls upon Dr. Laszlo Kreizler, a criminal psychologist -- aka alienist -- and newspaper illustrator John Moore to conduct the investigation in secret. 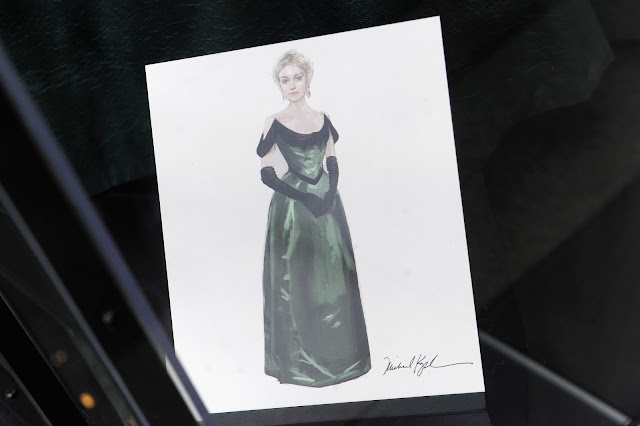 Joining them in the probe is Sara Howard, a headstrong secretary at Police Headquarters."